Mintage just 2.4 million coins - very small for a circulating issue! Own it now in strictly Uncirculated condition - click 'add to cart' today! This scarce, circulating coin was issued to celebrate the state of South Australia at the Centenary of Federation. Its student-designed reverse motif combines the iconic Sturt's Desert Pea - the state's emblem - with the Southern Cross. Released as part of the RAM's Centenary of Federation 20c Series, this coin was struck in tiny numbers, and virtually disappeared from circulation. Now almost 20 years later, it's tough to find in change in any grade. The 2001 Federation 20c series comprises the lowest-mintage commemorative 20c coins ever released for circulation in Australia. An average of 40.48 million 20c coins were struck annually from 1966-2016, but just 2.4 million of the 2001 South Australia 20c were issued. It's little wonder this coin is so difficult to find 'in the wild'! 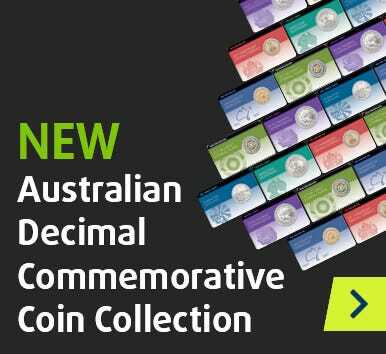 This is a critical opportunity for the Australian decimal collector. Secure this unique, one-year-only type and keep your collection complete - in stunning Uncirculated condition! Click 'add to cart' now.